Founded in 2014 (with Rimat as one of the founding shareholder members), Novagroup scarl is a consortium made up of 16 shareholder companies which covers the entirety of the Italian market. The shareholders are spare parts distribution companies for cars and heavy duty vehicles, and retail groups. 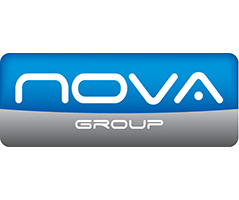 With an annual turnover of over 300 million euros, Novagroup, after just a few years, has already become one of the most important players of the Italian Aftermarket and is recognized as being a market-leading organization. Novagroup is the Italian shareholder for Temot International, a worldwide company with a turnover of over 10 billion euros, with 68 shareholders in 66 countries in 5 continents. Supernova is Novagroup’s garage project which is managed by the 16 shareholder members across Italy. Novagroup has over 15 years’ experience of managing garage concepts and projects, and with this know-how is considered an expert in this field. Click on the logo to receive more info!